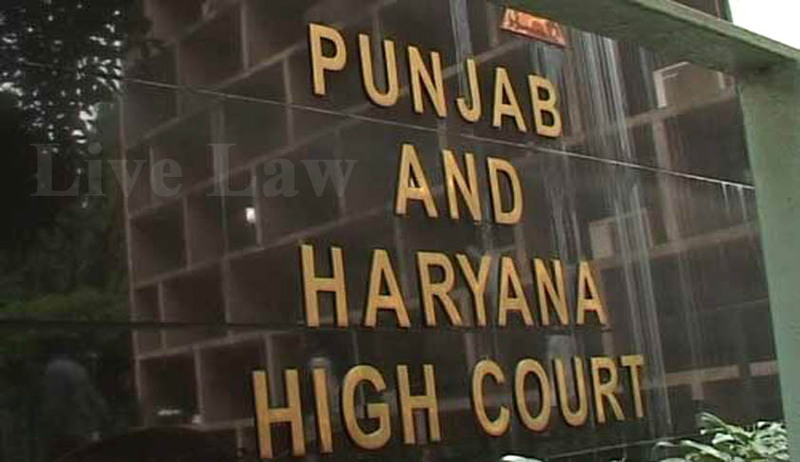 Punjab and Haryana High Court has declared Section 5(2) and Section 20 of Maharaja Ranjit Singh State Technical University (MRSSTU) Act 2014 as unconstitutional. The Court held that Section 5(2) violates Article 19(1)(c) of the Constitution of India while Section 20 is violative of the provisions of Punjab Technical University (PTU) Act, 1996 itself besides impinging upon the financial autonomy of the Punjab Technical University . A Division Bench comprising of Justices Mahesh Grover and Lisa Gill has allowed a batch of Petitions challenging the above Sections of Maharaja Ranjit Singh State Technical University Act 2014. It is argued that Section 5(2) of the 2014 Act clearly violates their fundamental right under Article 19(1)(c) and 19(1)(g). It has been contended that they are a private college with no financial or other support from the Government. The only condition that they are bound to, is of being AICTE compliant. Being so they cannot be forced into affiliation with some university of which they do not approve particularly when PTU has a greater standing and enjoys a better reputation which attracts the students and merely because the college now falls within the geographical limits of the districts by the newly created legislation they cannot be made to abdicate their affiliation with PTU compulsorily. It is also stated that they would face unfair competition from a college which may be barely 5 to 10 KMS away but outside the geographical limits prescribed by the new statute and thus continue to enjoy the patronage of PTU attracting better and more students to adversely affect the petitioner institution. Apart from that,it is contended that the privileges conferred upon them by the PTU stand withdrawn by the new enactment virtually giving it to a retrospective effect which is impermissible. It is also contended that the subsequent enactment neither has repealing or saving clause and thus the previous legislation as also the subsequent one would have to be construed harmoniously with both 23 of 48 holding the field so far as they do not conflict with each other but with the choice of the petitioner to submit himself to either, remaining unfettered. The Court has primarily said that in the backdrop of these facts when the college is completely privately run and managed institution, its right to affiliate itself with a university of choice would be the relevant question to be determined. The Court also said a private institution with no financial aid from the Government, stands liberated from control of the Government largely bound only to observance of regulatory discipline particularly as it is involved in promoting education and thus subject to standard regulations a Government prescribes to maintain excellence but it cannot be made to fall to the dictates of the Government. Section 5(1) forecloses any option to the colleges in the districts mentioned in the Act to an affiliation with no other university except MRSSTU but gives a choice to 37 of 48 other institutions in areas beyond the State to affiliate either with PTU or MRSSTU. A similar choice can be denied to the colleges within the State only at the expense of accusation of an arbitrary and discriminatory exercise by the Government. In fact it would have been a much better way to ensure competition between the universities to offer a choice to the colleges to affiliate with either of the universities which even otherwise the law of harmonious interpretation would provide. Both the statutes intending the same avowed objectives to set up different universities cannot be questioned on the issue of legislative competence but Section 5(2) which forces an affiliation upon a college has to be viewed disapprovingly more particularly when the benefit and privileges admitted to an institution by virtue of its affiliation with PTU is a right sought to be taken away by Section 5(2) withdrawing them without concurrence of the petitioner institute who naturally sees it as adverse to itself. It is thus imperative for the State to have solicited the choice of the institution in this regard. The entire scheme of the 2014 Act does not provide for any repeal or savings implying thereby that the 1996 Act would continue unamended while the subsequent Act would operate but in the areas specified therein. Both the statutes would thus operate in their respective allocated fields with liberty to the institution particularly if it is a private institution to affiliate with a university of its choice remaining unfettered. We notice that the writ petition has been preferred by the employees with a grievance directed not only against capital outflow or mismanagement of funds but it also bring to the notice of this court Section 20 of the 2014 Act which enables capital outflow to adversely affect the corpus of the university. One of the purposes specified in the corpus is 'to provide financial support to the employees and for development 46 of 48 of the university.' Under the heading modes of utilisation one of the objectives specified is "to provide financial assistance to the employees and for welfare activities of the employees of the PTU.' Consequently, the employees who possibly may adversely be affected on account of the capital outflow permitted by the 2014 Act cannot be termed to be entire strangers to the petitioners to deprive them of the locus more particularly in an age when the rights of the individuals have been amplified under the right to information Act to seek information and pray for interference if their rights are being affected prejudiciously in any manner and it is not necessary for them to essentially wait for the axe to fall to approach the courts for redressal of their grievance. Similarly, we feel that the students would also have a legitimate right to choose an institution and its affiliate university as these have a direct bearing on the quality of education and their career prospectus in life. It would be a different matter if a particular university is assigned to a student upon competing in open merits but if a particular university has been assigned on his choice then he cannot be deprived of his legitimate desire to earn a degree from such a university or an institution to be compulsorily forced into accepting a degree from an institution not of his choosing. Similar reasoning of freedom to choose as observed in earlier 47 of 48 paragraph would apply to the students as well. Therefore, we conclude that Section 5(2) violates Article 19(1)(c) of the Constitution of India while Section 20 is violative of the provisions of the 1996 Act itself besides impinging upon the financial autonomy of the PTU. We, therefore, allow these two writ petitions whereas in the case of students we hold that the official respondents shall assess as to whether the students who are assigned to the PTU after participation in open competition and if that be so they be given an option as to whether they would like to earn their degree from the PTU or a subsequent university.